Hello fellow Brawlers. 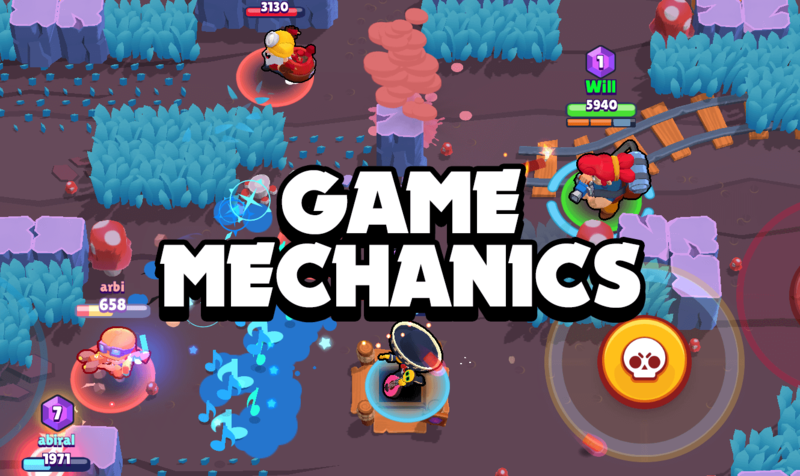 Welcome you back with our latest article about 25 game mechanics in Brawl Stars that you need to know. There will be some veteran players who are reading this may know quite a few of these, but I seriously doubt that there could be anyone going to know all 25 mechanics. If somebody who is reading this article already knew all of these mechanics, then it will be impressive. 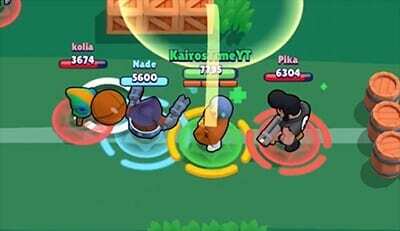 1	Brawlers that are not maxed will have a regular circle underneath their character, but brawlers that are maxed out and have star power will have a star in the circle underneath them. So if an enemy player has their star power, you’ll always know what strategy you need to adapt accordingly. 2	In order to heal up in the middle of battle, you have to do two things: To not attack and to not receive any damage from enemy brawlers. After a certain period of time, you will start to heal up, but if you either start taking damages again or you start attacking other brawlers then the healing process will be interrupted. 3	Quickfire, also known as auto-aim, will fire even if enemy brawlers are not in range or in sight and that will waste your ammo. So make sure you’re not spamming that auto-aim more than you have to. 4	You can manually aim your Super by dragging out from the button rather than just tapping on it. 5	If you want to cancel an attack or a Super, you can do so by dragging back to the center of the joystick and then letting it go. 6	Supers are charged up off of the hits and not by damage dealt. This is important because if you have 10 power-ups in showdown it will not charge up your super faster nor will it charged up faster if your brawler gets upgraded and deals more damage. 7	One important thing to note is that Star Powers do not charge up your super at all and this includes brawlers that deal damage with their Star Powers like Brock, Tara, Piper or any other Brawlers. 8	You can stop some Supers that take a little bit of time to unload with brawlers that have some type of knockback mechanic. 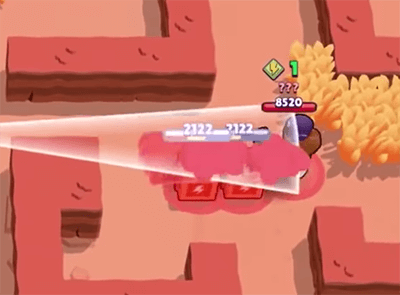 This is very obvious for brawlers like Frank who takes a very long time to release his Super, but you can also do this with brawlers like Colt, Brock, Barley or Ricochet that take a long time to unload all of their shots. 9	After brawlers have respawned, they are invincible, you cannot stun or slow them. 10	If you see a blue or a red ring around a brawler, it means that brawler has their Super charged up and they can use it whenever they want to. If you see a yellow ring around a brawler that means they are activating their super so you might want to watch out. 11	The star player is calculated based on three major components. The first is winning, the second is damage dealt, and the third is completing the objective of the game mode. For example: Holding gems in Gem Grab. Technically, it is actually possible for a Star Player to be given to the losing player but it is incredibly unlikely. 11 of the 24 mechanics have been listed. Let’s move into the specific game modes. 12	The Gem mine pops out a gem every 7 seconds and before it does so, it will start to emit a purple light warning you that the Gem is about to be popped out. 13	In most cases, you should not run away from the Gem mine unless you have at least two more gems than the enemy team. For example, if both you and the enemy team have 9 gems and a 10th gem pops out, your team takes it and you guys run away, another gem will actually pop out of the gem mine before the countdown timer has reached. An exception to this is if your team has 15 gems the mine will stop producing gems that past 29 gems. Which means, if you have 15 gems and the enemy team has 14, another gem will not pop out. The only way that they can actually stop that countdown is by taking out a brawler with some gems. 14	The gem mine will stop spawning gems if there are 10 or more gems currently on the ground. 15.1	The middle star on the map does not increase a player’s bounty. The star only gives your team a point, though it is always beneficial for you to pick up that star as long as you can survive. 15.2	Because at the very beginning, all brawlers’ star count is always 2, but the bounty of a killer is only increased by one, you should almost always prioritize surviving overtaking out an enemy brawler. This will give your team a point advantage. 16	Another way for you to get a point advantage is to max out your stars. At seven stars meaning that you’ll be able to get more kills without actually increasing your bounty. 17	It is actually possible for both your team and the enemy team to kill the safes at the exact same time, forcing a 0% draw in Heist. 18	It is also possible for you to have a draw in Heist when the timer runs out and the safes have different amounts of damage dealt with them. The reason is that the percentage at the very top of the match is actually what matters the most. Because each 1% is actually three hundred damage the safes can be at the same percentage with different HPs. 19	At around 300 trophies, everyone’s names will be replaced with three question marks to prevent people from teaming with their friends or someone you could know. 20	After the match, you can actually go back into the battle log and see which players were playing in that showdown match. You also can actually see which players got which rank in Showdown, as it is listed from rank 1st in the upper left down to rank 10th in the lower right. 21	In order for you to get your Star Token in the Solo Showdown, you have to get rank 4th or better and your team has to get rank 2nd or better in duo showdown. 22	When playing you can actually see a little bit more screen of above your brawler than below of your brawler. In the most game modes, this doesn’t actually matter because the screens are actually mirrored for each player but in Showdown, the maps are not mirrored or anything like that and so if you are attacking from below you will actually have a slight advantage over your opponent. 23	For every three power-ups that a brawler has, they will drop one additional power point upon death. Make it simple, brawlers that have up to two power-ups will actually only drop one, enemies with three will drop two, enemies with six will drop three, enemies with nine will drop four and it continues. 24	If you use auto-aim fire close to the goal, it will automatically directly fire at the center of the goal every time. 25	After each goal, the turrets or minions will be destroyed, so do not waste them if you know that a goal is about to be made. Those are 25 game mechanics that you need to know in Brawl Stars, but wait, we got another 3 bonus tips just for you! The first bonus tip is that spin to win does not work but skill to win does. When you are playing with randoms, you are also a random so if you say that random bad you’re just saying that you’re bad. If you bookmark to this website, I’m pretty sure it will make you become a better Brawl Stars player. Thank you for reading our article. We hope that you enjoyed it if you have more tips please you go ahead and put it in the comment section below.